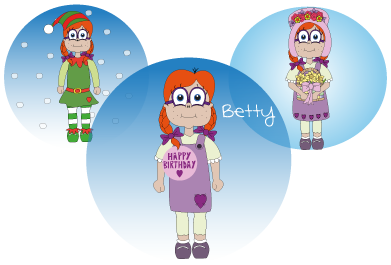 Don’t let my cousin Danny tell you he’s the cleverest in the Treasurebobs – because that’s me, Betty! 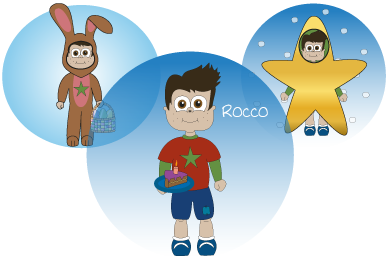 We are a bit like Fred and Velma from Scooby Doo – Velma always solves the clues and Fred always takes the credit – well that is exactly like me and Danny! 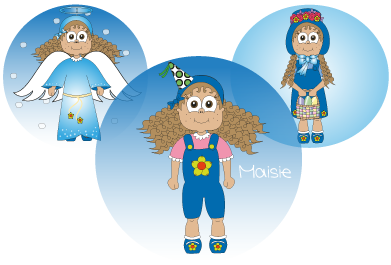 I love hearts and always wear a heart no matter what outfit I am wearing – so you can always spot me! 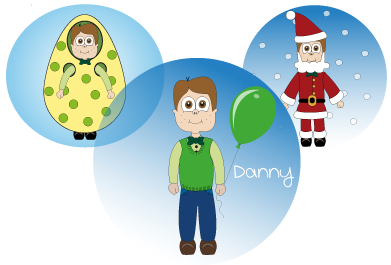 My name is Danny and I consider myself the ‘brains’ of the Treasurebobs – it doesn’t take me long to figure out clues, find treasure and find my brother, Tommy and cousins. Because I am really smart, I like to look really smart and you can always tell which Treasurebob I am as I always wear a green bow tie – even when I have to get dressed up as an egg #embarassing! I really love flowers so you can always spot me as I always have yellow flowers on my clothes. I’m the youngest of all the Treasurebobs and definitely the best looking! I love having adventures with my older sisters and cousins and especially love playing football with Tommy. I love climbing trees and digging through tunnels so no hiding place will be too challenging for me. You can always spot me as I always have a green star on my clothing. 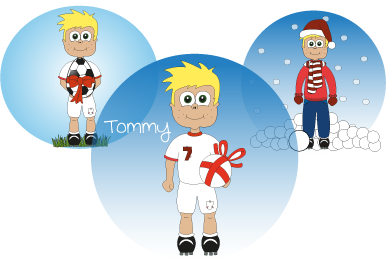 It’s easy to spot me – I have blonde hair and I always have football boots on. I even wear them to bed! I love football and mine and Danny’s favourite football team is Liverpool FC. When I am dragged away from kicking a footy in the back garden – I love to join in the Treasurebobs’ hide and seek adventures – as long as I can hide with my football!